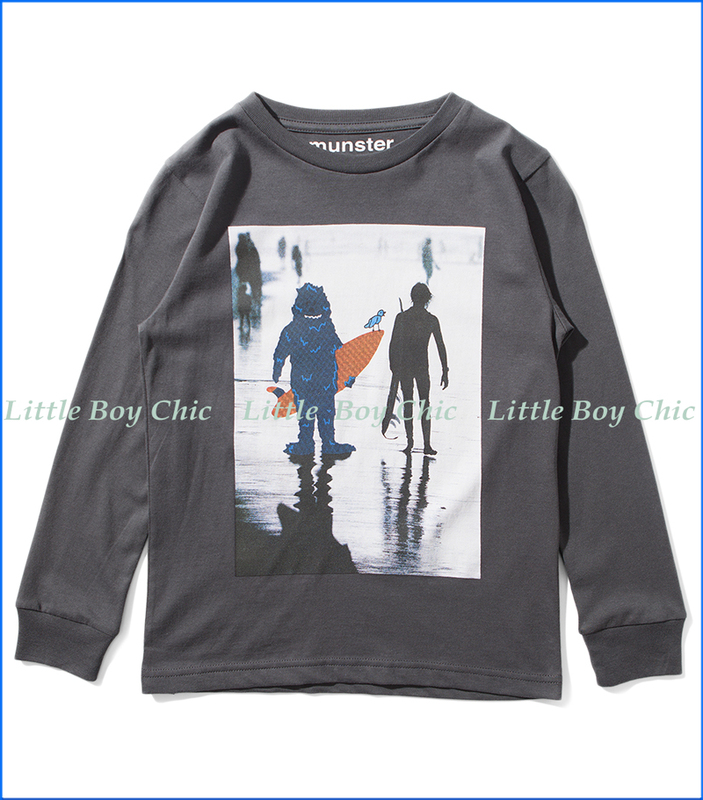 Suit up for the surf in this longsleeve fashion tee. Surfer silhoutte brings out the vibrant munster kid inside. Soft hand feel. Long sleeves. Crewneck. Printed neck label with no tag to irritate.